Destin Travel Deals: Book The Hydrojet in Destin, FL - The World's Largest Jet Ski! Book The Hydrojet in Destin, FL - The World's Largest Jet Ski! The Hydrojet is finally made it's introduction to Destin, FL after several years of planning and trials. Be one of the first to experience this exciting thrill ride as you zip across the emerald green waters hitting waves at 40+ MPH. Hold on tight as this trip can get a little bumpy and be prepared to get sprayed! Great for older children and thrill seekers coming to visit the area. Make the Hydrojet part of you family vacation! 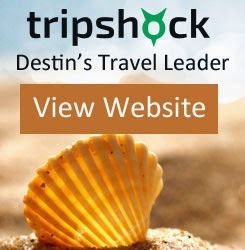 You can book and online and view more details about the Hydrojet by visiting TripShock today.